commented on "MUSIC filled Launceston's Holy Trinity Church yesterday when the City of Launceston RSL Band held its Winter Warmer concert. 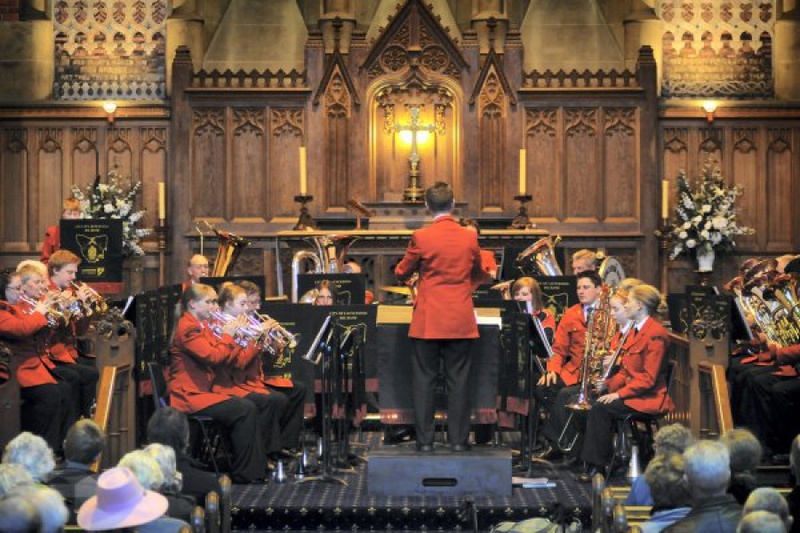 ..."
MUSIC filled Launceston's Holy Trinity Church yesterday when the City of Launceston RSL Band held its Winter Warmer concert. The award-winning band was joined by the Vox Harmony singers at the fund-raising concert, which featured pieces from Andrew Lloyd Webber and French composer Jules Massenet, as well as musicals Prince of Egypt, Miss Saigon and Spamalot. Band administrator Tony Roper said the concert was more successful than expected. ``I think the band played really well as did the choir - they played a wide variety of music and the crowd was really appreciative,'' Mr Roper said. Mr Roper said funds raised would go towards new instruments, music and ``anything else a community brass band might need''. MUSIC filled Launceston's Holy Trinity Church yesterday when the City of Launceston RSL Band held its Winter Warmer concert. Mr Roper said funds raised would go towards new instruments, music and ``anything else a community brass band might need''.